Did you know the US Consumer Product Safety Commission says window coverings with cords are 1 of the top 5 hazards in your home? It’s amazing when you think about it that way, isn’t it? So, should we all stop using window coverings with cords? The answer mostly depends on when your window coverings were manufactured. Almost all of the strangulation incidents occur because the child has access to window coverings made before 2000. The first recommendation of the US Consumer Product Safety Commission is to buy new window coverings if what you have in your windows was manufactured before 2001. Since 2000, there have been many changes to the way we make window coverings that minimize the choking hazard. The most common way that a child can strangle himself with cords on a horizontal blind (most common window covering in the U.S.) is to pull the lift cords out from between 2 slats in the blind, creating a loop that is large enough to allow the child to stick his head inside the loop. As a result, a significant change was made to the way horizontal blinds are made: There is now a stop placed on the lift cords, just below the headrail (metal piece at the top the holds all the mechanisms). This stop prevents the cords from being pulled out from the bottom of the blind. • All lift cords are restricted in some way (varies by product but similar to the changes made with horizontal blinds) so that a loop cannot be formed that is large enough for a child’s head. • Cord cleats are available with all corded window coverings (upon request). Cord cleats are used to secure the cords when the shade is stationary. 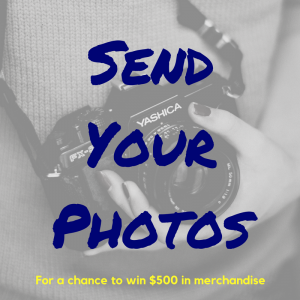 • Marketing campaigns have made consumers much more aware of the hazard. 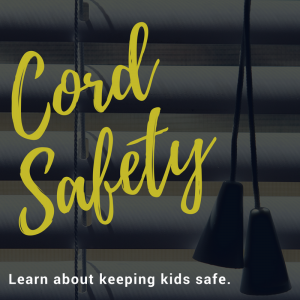 So, are corded blinds safe in your home if you have children? 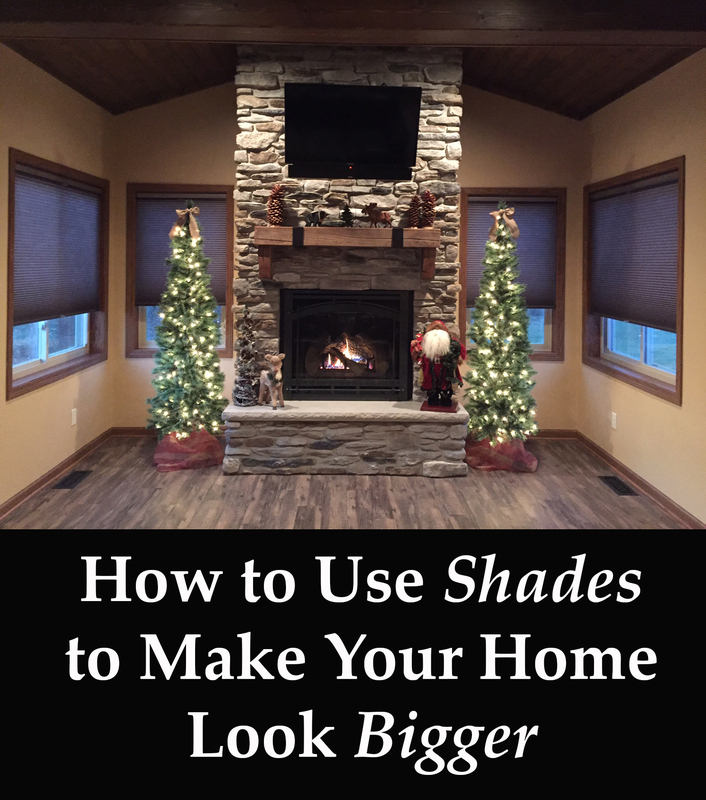 We certainly believe so and all of our products conform to the current U. S. regulations but there still is a small risk with any type of corded blind or shade. In honor of October, Child Safety Month, it’s our goal to show you what you can do to eliminate this small risk by selecting products that eliminate or minimize cords. – Roman shades have cords that run down the back of the shade. •Top-down/bottom-up: Many, but not all of these blinds also come with a cordless top down/bottom up option. – Cellular shades and roller shades can be lifted with a motor. – Horizontal blinds can be tilted with a reasonably-priced motor but motors that lift horizontal blinds are fairly expensive. 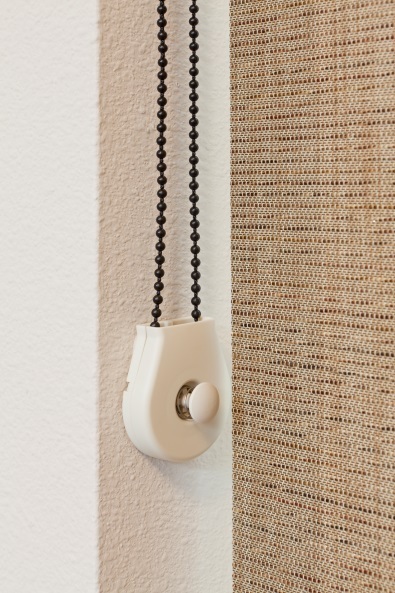 • Continuous Cord Loop: We don’t have a special section for these blinds. But many of our choices, like our Cellular Shades, Roman Shades and Pleated Shades, have a continuous cord loop designed especially for your children’s safety. The cords always stay the same length, regardless of their position. A tension device holds the bottom of this cord in place so that there is no room to insert a child’s head through the loop. You Can Never be Too Careful with your Child’s Safety! So those are some ideas for child and pet-safe blinds. • Install your blinds according to the instructions, using all safety options: cord tension devices (Continuous Cord Loop), cord cleats, etc. 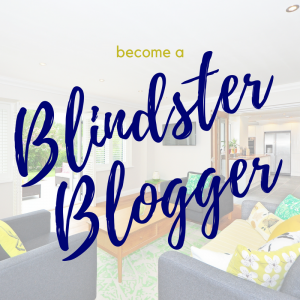 • With corded blinds, you can use a cord cleat to secure the lift cords or cut them shorter (be sure the blind is fully lowered when you do this) so that they are not as accessible to children. • Options like cordless lift systems and motorization also minimize the risk. But some of these options will add to the cost of your new window coverings. Most of all, teach your children to safely use all your window coverings. Make sure to position cribs and play pens so that the blinds’ cords are not reachable (even when/if they climb). What are the Best Custom Window Treatments?